There are so many brands out there now, but there are leaders in the market that are instantly recognisable, even if we pulled their brand apart, we would still know who it is. So the question is, is your brand recognisable? Does it speak out to your target market? If your brand was pulled apart, would people still be able to recognise that it’s you, even if it was just a colour within the logo? It’s little factors like these that need looking at if you think your business needs a boost in the right direction to pull in more sales. QUIZ TIME: Can you ‘recognise’ which brands these are? You have until 4pm on Friday 18th October 2013 to send me your answers to the quiz. The applicants with the right answers will be put into a draw and one lucky winner will be randomly picked to receive a FREE set of 500 newly designed Business Cards. Just email your answers to hollie@hollie-ellis.co.uk. This is the next thing you need to consider across all platforms that your brand appears on. Consistency is THE most important factor and I know I’ve mentioned it before, but I’m mentioning it again because I can! 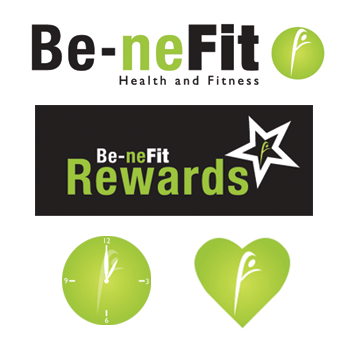 An example of consistency is below – some graphics that I have designed for Lauren at Be-neFit Bootcamp for her to use on some of her marketing materials across her social media platforms. You can tell they’re 100% consistent with her brand as the symbol has been used throughout and her colours too. My website is now up and running, so while you’re having a cuppa – why not check it out. It shows some more examples of my work along with the areas of design that I specialise in.